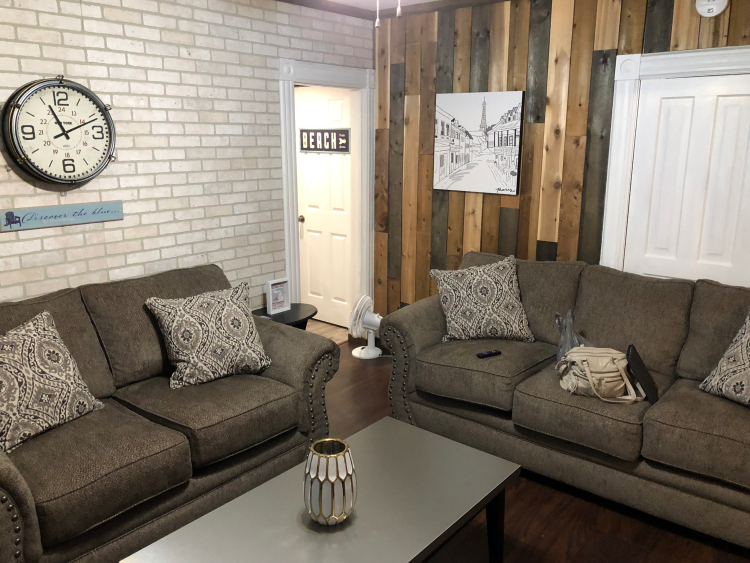 A welcoming space is what many Airbnb customers look for in a rental.Year after year, it is getting easier for tourists and townies to explore all that Port Huron has to offer. Airbnb, a user-based lodging service, is gaining popularity in the Blue Water region. Charlie Urbancic, public affairs for Airbnb, says there are 20 active hosts in Port Huron alone. Sixty-three percent are women, and they typically earn $4,000 annually by sharing their homes. These hosts put their spare bedrooms, homes, condos, boathouses, or even treehouses for rent on the Airbnb website. Airbnb works on making the visits safe, as outlined on its website, but most users find comfort in its self-policing reviews. Visitors can review the spaces they want to stay at, and hosts can review visitors. Port Huron Planning Director David Haynes confirmed a large house on Military Street will soon be turned into a four-unit Airbnb. Robert and Jennifer Hewitt host four Port Huron properties. The Canadian duo began their Airbnb adventure with Port Huron home that had been used for their family. The Hewitts have four Airbnb properties in Port HuronWhen it was no longer being used, they decided to try renting it out on Airbnb in 2015. The Hewitts call their rentals “labors of love.” Though they credit City Manager James Freed and Haynes for all of their help, the Hewitts have had to go through red tape and spend time educating the public about some misunderstandings of Airbnb. Renters worry they do not know what they are going to get, Robert says, so he recommends reading reviews for a better understanding. The Hewitts say it ha been worth it. They have ave a platform to promote a city that has brought them so much joy. “We fell in love with this little town, from that beautiful blue water to all of the restaurants…It’s got everything,” says Robert, who is also the creator of www.IlovePortHuron.com. The Hewitts love getting to be a part of peoples’ trips, often recommending Huron Lady cruises, walking along the water, Zagster bikes or one of Port Huron’s many eateries. Their Airbnbs are in regular neighborhoods, so they provide culture instead of a cookie-cutter trip. 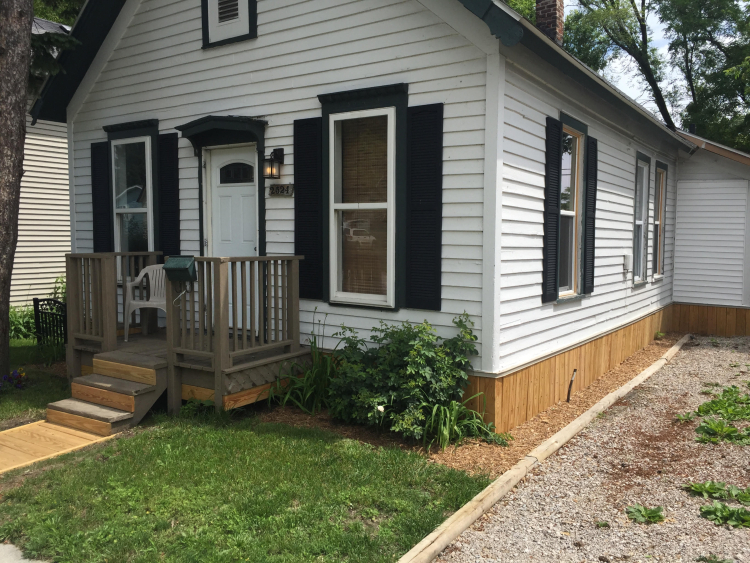 “This can be a beautiful home in the neighborhood and provide tourism in Port Huron,” says Robert. “If you’re the right host, you can make the experience for the guest because you have multiple times you can influence what they do and where they go.” And who better to take recommendations from than experts who have a good idea of the area because they frequent it themselves? Guests can research what they'll get when renting an Airbnb.Airbnb provides more than the four walls of a hotel can; it is an experience. Jennifer says they aim to set up a “home away from home” for their guests, and all of the Hewitts’ properties are themed. Each one is very different from the next, so there is something for every vacationer, from a historic Queen Anne home to a cottage with a beachy vibe. 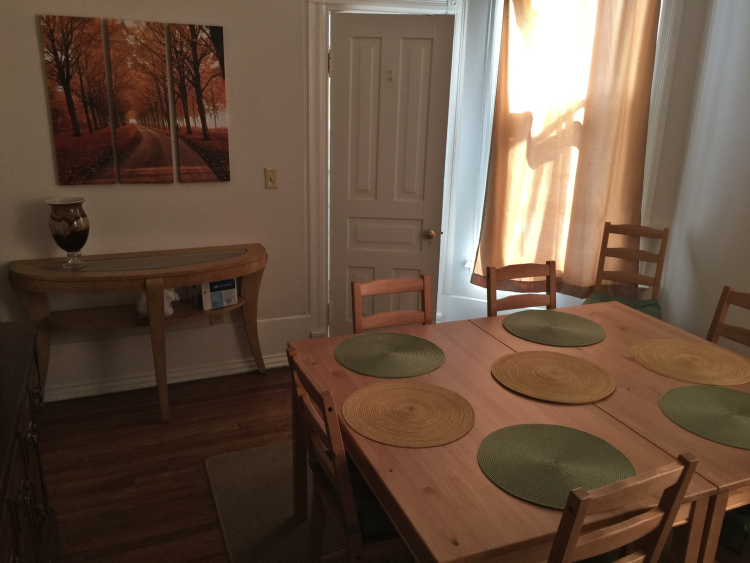 Adding to the experiences are, well, Experiences, a lesser-known part of Airbnb. Airbnb Experiences allow shop owners, residents who know their way around neighborhoods, artists, chefs, and others to curate entertainment options that visitors can add to their slate. The Blue Water region only has one Experience listed right now: Carolyn Meddaugh’s apron-making at her store, Calla Lilly Sewing Corner. In the last year, she has hosted one Experience, a workshop for two sisters from Indiana. They did a project at Calla Lilly and then went out to lunch on Meddaugh’s recommendation. 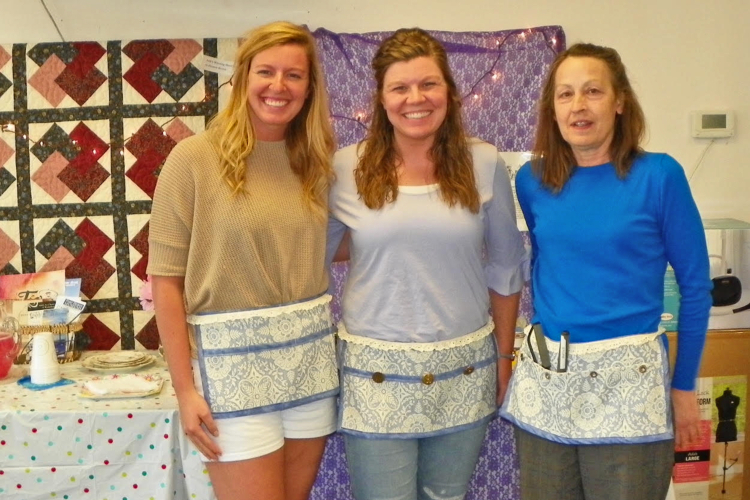 When the sisters returned, Meddaugh recruited two other family-owned shops nearby to be part of the day, so the women went to a quilt shop with fabric and saw a long-arm quilting demonstration. Meddaugh says the Experience has received many views, and she is going to continue her offerings after this year of Sierra and Sheena from Indiana created an apron as part of their Airbnb Experience with Colleen Ruedisueli. learning. The shop, in Fort Gratiot, has a niche market and is outside of the Port Huron "tourist" area, but the exposure had led to inquiries. Meddaugh says Airbnb had more restrictions at first, mostly on photos, so she will be changing some of those along with descriptions and possibly adding another Experience. Airbnb provides webinars and coaches to help. “The whole thing is to get people engaged,” Meddaugh says of the venture. “I’m seeing that people want to be an active part of something.” She sees this in her free clubs at the shop. On vacation, you want to get your hands in something; you don’t want to be on your phone, doing the same things you always do at home. There are some concerns to be considered, though, especially when talking about an entire house being rented compared to a room where the owner stays in the rest of the house. Will vacationers stay away until 3 a.m. every day and be less concerned about being courteous than a permanent neighbor might? “It’s something that communities across the state and country wrestle with…You could have a disruption in the neighborhoods,” says Haynes. “That’s why you put in some safeguards in oversight and approval from the neighbors, so they understand what is going on. Haynes explains that to become an Airbnb in Port Huron, a place must be a registered rental property and be properly zoned. Its owners must apply for a special use permit, notifying neighbors within 300 feet. Last, there is a hearing with the Planning Commission to approve the case. 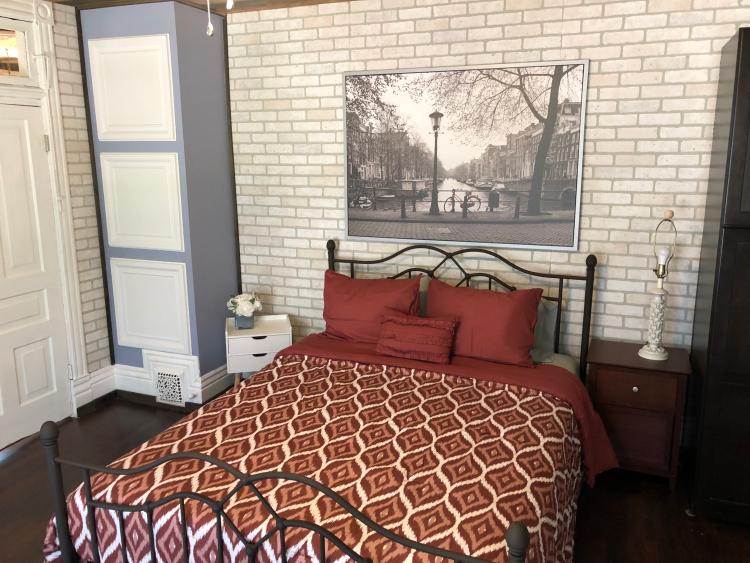 The Hewitts want their Airbnb rentals to feel like home away from homeThere is no denying that Airbnb is here, though, and it is being used. Urbancic says there have been almost 900 inbound guest arrivals to Port Huron in the past year. The Hewitts have had renters come from as far as California and Hawaii. They estimate that their renters are 25 percent avid Airbnb-ers, who visit because the option is available; 25 percent are people who used to live in the area or have family here; 25 percent come for events, like the Float Down or Boat Week; and 25 percent are from the Detroit area. There are also a small number of people coming on business. Most are Americans, not Canadians. The Hewitts think Airbnb can change the community. The popularity of app-based transportation platforms shows that people want to explore the Blue Water Area. Hewitt talks about the transformation here as one similar to Detroit. “There are really good people here who have an open mind to new adventures. The people that love Port Huron are hooked. They see something beautiful, wonderful, and they can see the future,” he says.